Hand screened boxes are Printed on 3 Sides. A must for all city halls. Collect used flags at your business or office and take them to your local Boy Scouts or American Legion. Put anywhere Americans can be found: In malls, large retail outlets, government facilities, military, churches and schools. Price Includes Lid and Backboard. 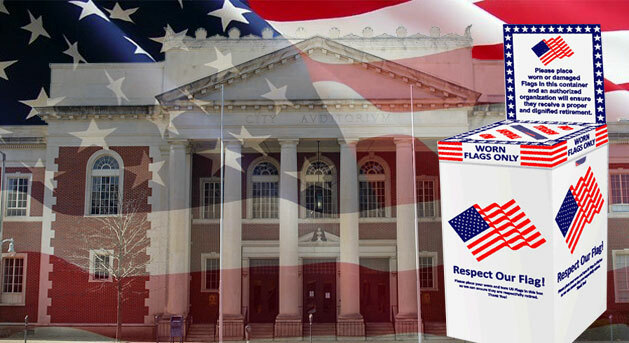 Flag Collections Boxes are available in short, tall and regular sizes.